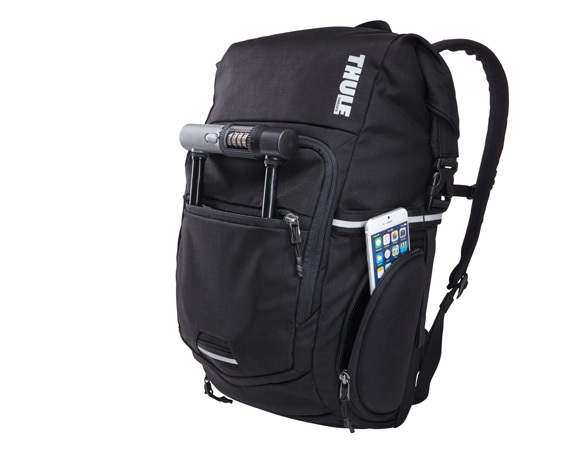 A superbly strong, well designed backpack designed for every day commuting. Fully waterproof, you can carry laptop and any important documents to work without concern as the roll top design and heavy duty fabric keeps contents safe and dry. For added visibility, an in-built rain cover provides additional protection and visibility with the in built reflectors. A front helmet net keeps your helmet secure. Internal "crush free" Safe Zones are perfect for delicate items such as sunglasses and smart phones. 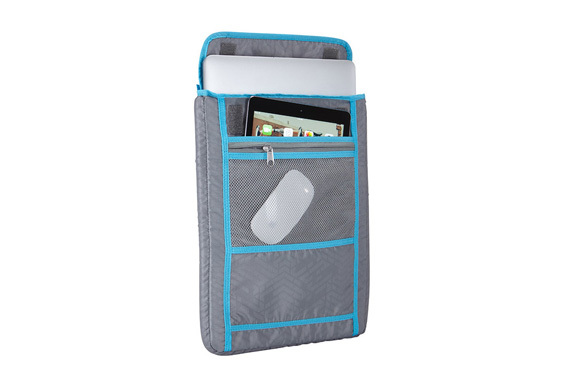 Laptops and tablets are kept safe in a removable 15" padded sleeve which sits on top of the bag for added comfort. 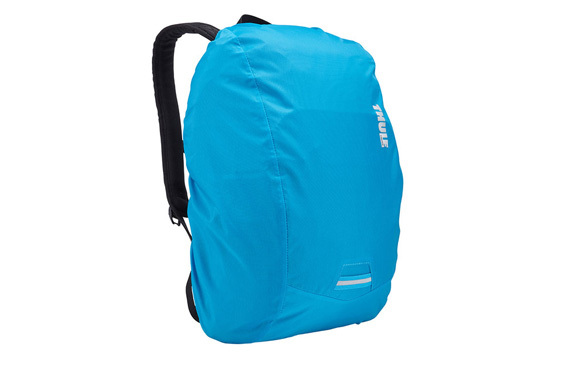 Hugely well rated, the Thule Commuter is the ultimate back pack for every day use. The flexible, high tension helmet net keeps your helmet securely in place when not in use. Along with a waterproof design, the integrated pull out cover keeps all of your contents safe from rain and snow. Bright colours and reflective elements ensure high visibility in darker weather conditions, too. When not in use it folds away into a bag compartment. 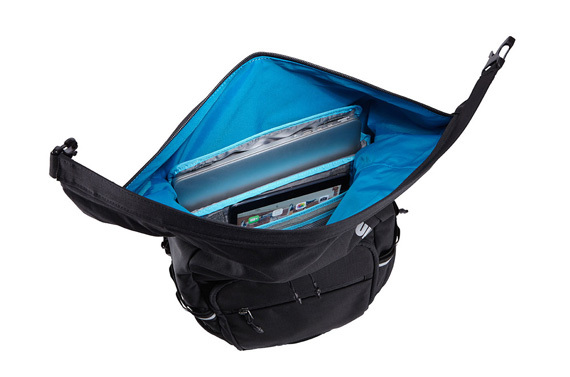 Included with the bag is a 15" laptop compartment with room for a tablet sleeve. 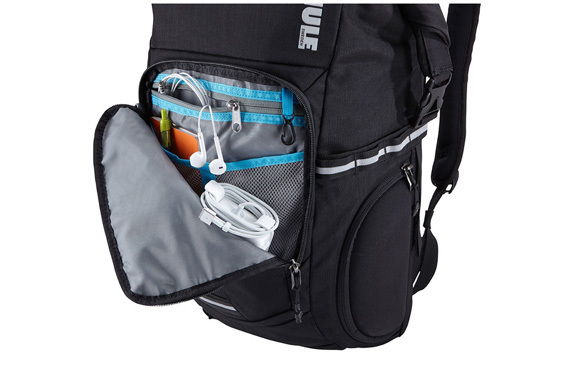 Located at the top of the bag, it is comfortable to carry and soft padding keeps contents safe. 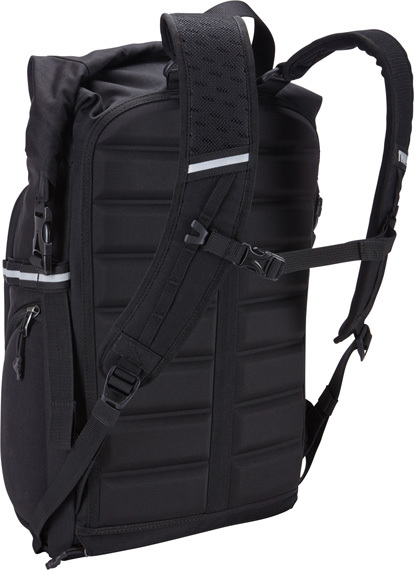 Even with a full backpack, there'll still be room for the laptop and accessories. Individual compartments keep your items organised and easy to find. A reinforced hard shell compartment is ideal for storing cycling glasses or smart phones, free from being damaged from any knocks or bumps. Easily hold your lock in an outer stash pocket - keeping secure on the move and at hand once you arrive. 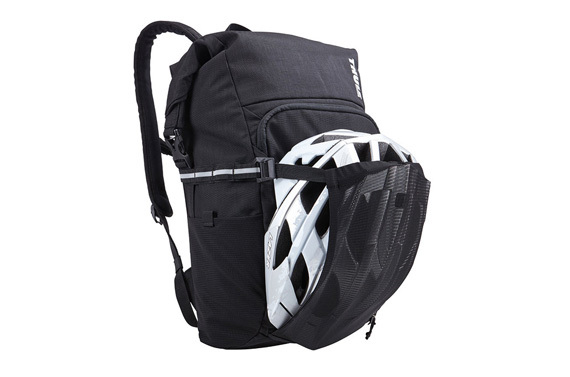 A padded back panel gives constant air ventilation and comfort. Padded shoulder straps reduce rubbing. 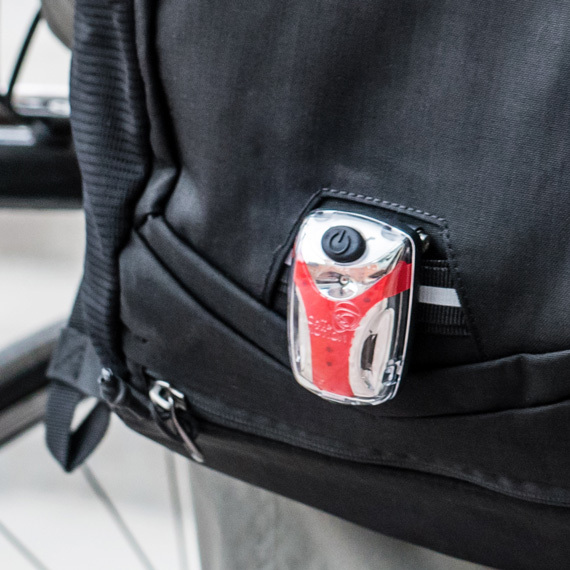 Mount attachments to your bag for added visibility - no need for fixed points on the bike. Easily find internal items with the high visibility, blue interior. No more rummaging for keys!